*UPDATE Chierika finished second in the Final D of the Women Single Sculls, and final standing of 20th in the Olympics. Her remarkable journey is nothing short of inspiration to all. Rowers from Autralia, USA and China won Gold, Silver and Bronze of the competition respectively. Chierika Ukogu, Coco finished 4th in SemiFinal C/D with total time of 8:18.550 and successfully made it to final. She will be competing in Final D of women’s Single Sculls Rowing event on Saturday, August 13 – which not a medal contention group, but for Ranking. Coco will be in lane 4, now likely to be in top two ranked African women in the Sport alongside Zimbabwe’s Micheen Thornycroft. 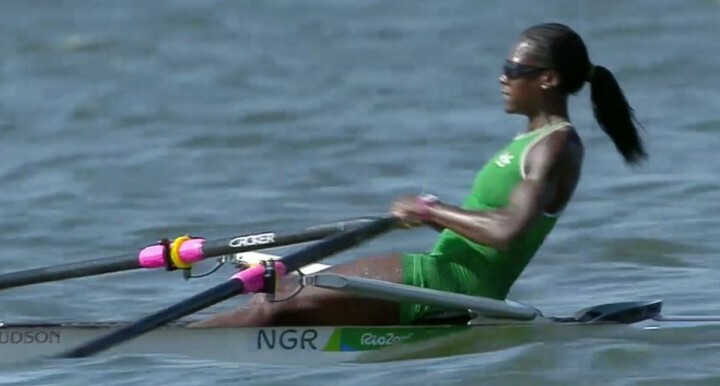 Chierika Ukogu made history as the first Nigerian athlete to compete for the Rowing event at the Olympic games. She was born in Pennsylvania, USA on October 2, 1992 after her parents migrated from Nigeria. She is a graduate of Stanford University, studied pre-med and rowed for Stanford’s women’s crew team till her graduation in 2014. She has been accepted into Icahn School of Medicine at Mount Sinai, New York City. This plans to continue schooling after the Olympic games. 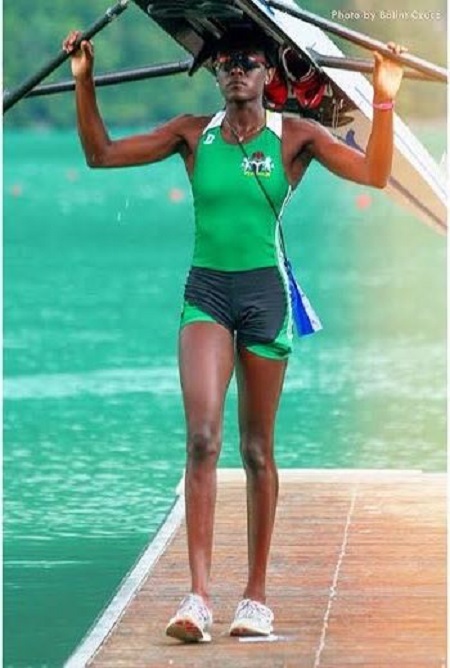 Some analysts have said she single-handedly created Nigeria’s rowing team, this is not far from truth. Considering the cost of equipment is quite steep – around N4.8 million by today’s naira. She stated that her ultimate goal is to represent Nigeria at the Olympics, which at 23 years has now been achieved. Due to a lack of infrastructure, Chierika not only had to be selected for the team for Rio 2016 but also had to fund herself. She started a gofundme campaign in 2015 and successfully raised $15,000 to get herself equipped and transported to Rio, Brazil. My name is Chierika, Coco to many, Ukogu and I have been selected to represent Nigeria in the Women’s Single Scull event. It is my ultimate goal to be the 1st Nigerian to row at the Olympic Games. I am currently training for 30 hours/week with the top athletes in the Philadelphia area under coaches at Vesper Boat Club and Conshohocken Rowing Club, while conducting women’s health research at the University of Pennsylvania. I will compete at the World Rowing Championships in Aiguebelette, France on Aug 30-Sept 6 and 2016 African Olympic Qualification Regatta in Tunis, Tunisia on Oct 5-7th in hopes of qualifying for Games. 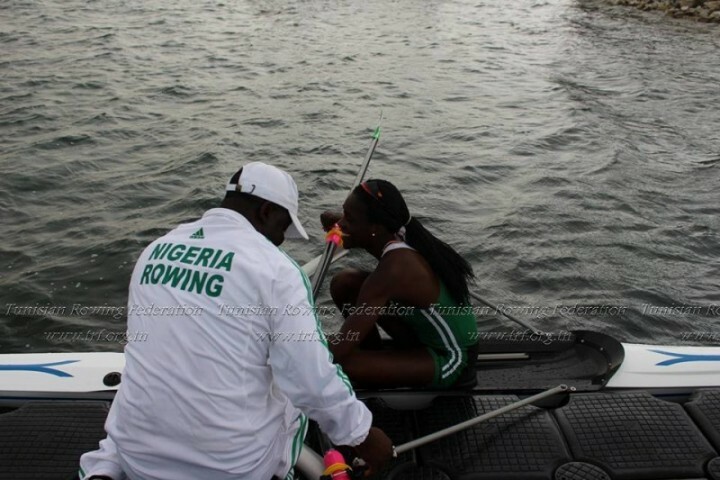 I am not receiving any financial support from the Nigerian Rowing Federation, so my dream relies on your generousity! Money raised will go towards travel costs, entry fees, uniforms, boats, and anything needed to make the Olympics a reality! Please join me on my quest to make history in Rio. My rowing career began in 2006 at Mount Saint Joseph Academy, and I was hooked as soon as I took my first stroke. Following high school, I attended Stanford University and competed at the D1 level while completing pre-med coursework. After graduating in 2014, I put medical school on hold to dedicate my time to training. I am honored to have the chance to represent Nigeria in the 2016 Olympic Games. I have always felt strong ties to Nigeria as the daughter of Nigerian immigrants. In 2007, I founded a non-profit organization called Flip Flops for Africa and donated 10,000 pairs of flip flops to Nigerians in need. I hope that my athletic endeavors will inspire other Nigerians to take up rowing and experience the same joy I feel every time I’m on the water. I have been so blessed throughout my rowing career, from the Mount to Stanford, Vesper Boat Club, and Conshohocken Rowing Club. I am proud to be a part of the long history of athletes who have raced for the Philadelphia Scholastic Rowing Association and the Schuylkill Navy of Philadelphia. I am willing and able to put in the training to get to the next level, and I thank you for helping to make this dream a reality! We will all be routing for Coco as she makes Nigeria proud in the finals. May the odds be in her favour.